After World War II, transatlantic travel became more accessible and with that, an increased awareness of European style and sensibility evolved. For the style conscious woman, that meant french style, which has always been synonymous with “that je ne sais quoi”… better… from the standpoint of haute quality, craftsmanship, and design. 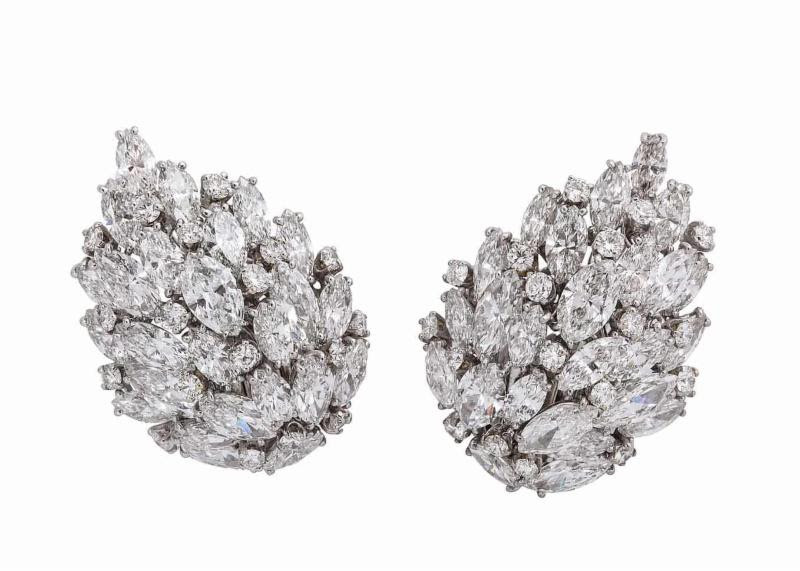 These Van Cleef diamond “leaf” earrings are the epitome of 40s and 50s French style, which included the Van Cleef “zipper”necklace, a chef d’oevre of jewelry design that allows the zipper to unzip and be either a bracelet or a necklace. Fascinated with new ways to render natural forms, Van Cleef designed these diamond “leaves” to enhance the features of the wearer, using an extraordinary amount of time and labor to create subtle and elegant sparkle. A look at the backs of these vintage earrings reveals elaborate workmanship and attention to detail which is no longer affordable for manufacturers. After the war, materials and skilled craftsmen became available again and not only picked up where they left off, but capitalized on newfound optimism and wealth to create whole new styles. Suzanne Belperron was emblematic of this new approach to design. Not only was she a pioneer as a female designer first for the house of Boivin and then on her own, but she developed a unique style, one that was her “signature”. Her pieces are rare and much sought after by jewelry connoisseurs and collectors due to their scarcity and the modernity of their design. 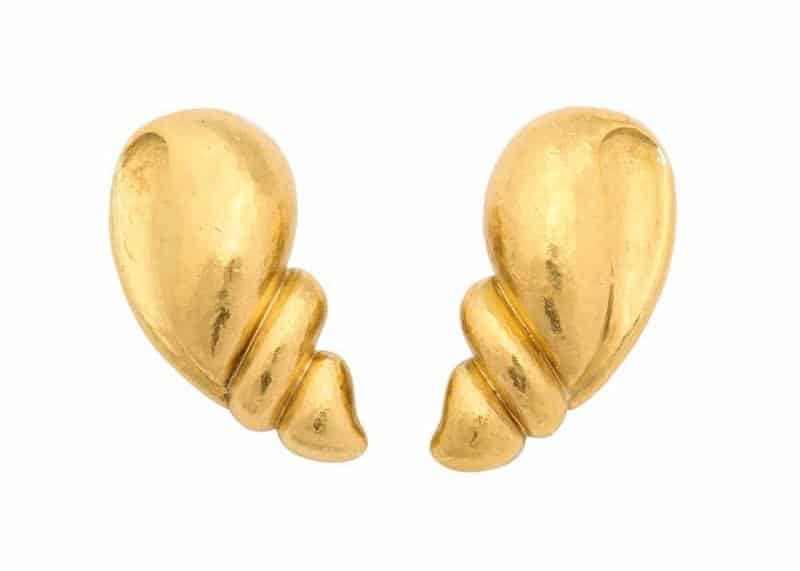 These “coqillage” or shell earrings epitomize the Belperron preoccupation with elevating the simplest shapes to haute jewelry design. 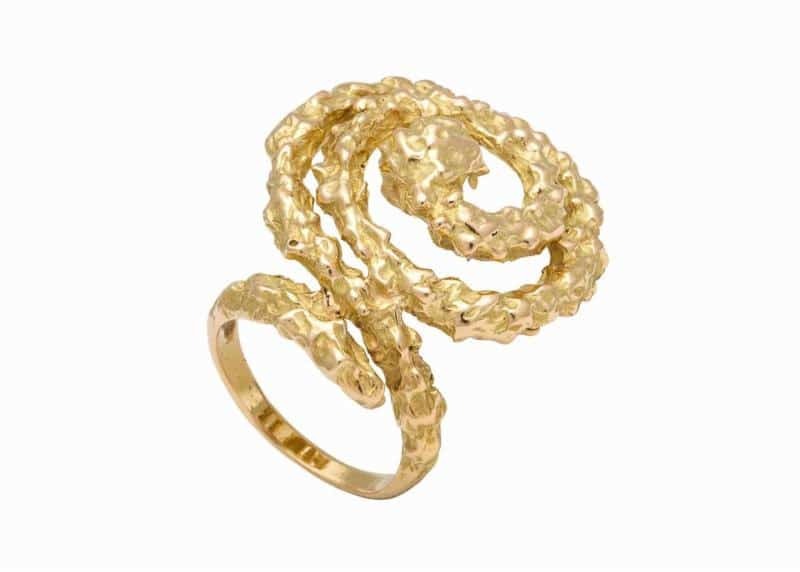 Pierre Sterle became known as the “torturer of gold” in the fifties due to his innovative use of twisted wire. 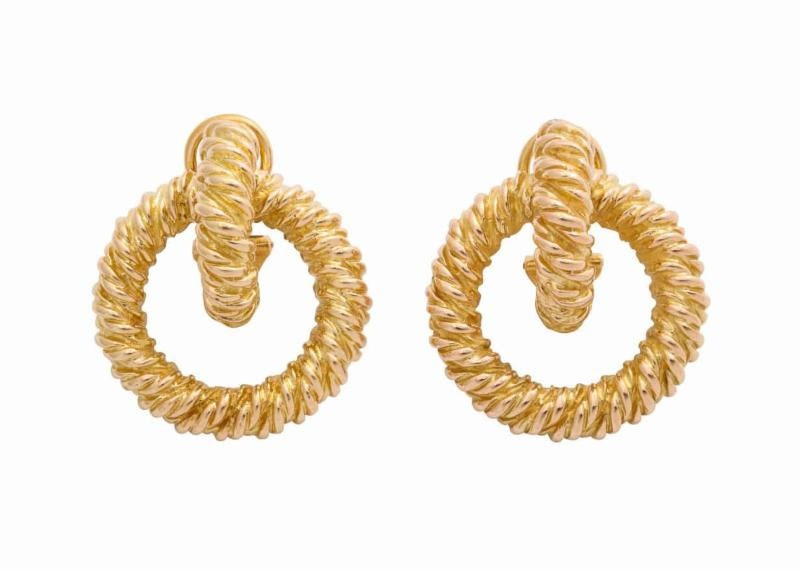 These rope twist earrings are a more graceful rendition of his preoccupation with dis-symmetry to convey movement. He also revitalized various types of chain including foxtail, a square braided chain that had been used in Victorian jewelry. Rendered in a new form with movement, this style became alluring. Hammered surfaces and different textures appeared in jewelry and as the seventies unfolded, Houses like Chaumet experimented with abstract forms like the ring pictured here. New forms of casting allowed for free-form pieces. Best known for their equestrian designs on scarves and leather, Hermes has always created jewelry of exceptional quality. 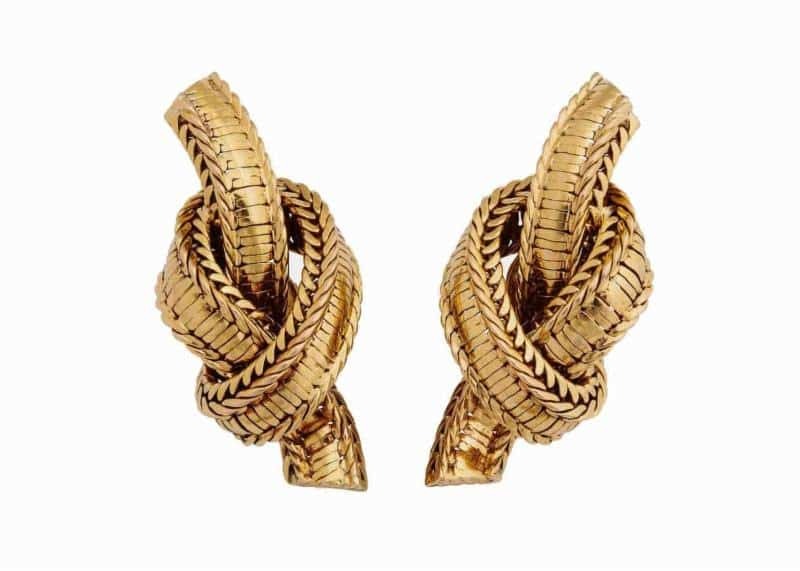 A favorite Hermes jewelry motif is nautical, often depicting rope. Hermes pieces have a certain status but the newer pieces are produced in Asia or Italy and not of the same quality. The system of apprenticeship in France made for a class of jeweler unparalleled in his craft and not found today. Children used to leave school at age 14 or 15 to learn the jewelry trade and with that dwindling group came the advent or more mass produced jewelry. Fine, vintage pieces like these are all the more valuable at a time when the finest jewelry houses are now owned by conglomerates more concerned with the bottom line.